The Fashion PR team here at L.E.R. 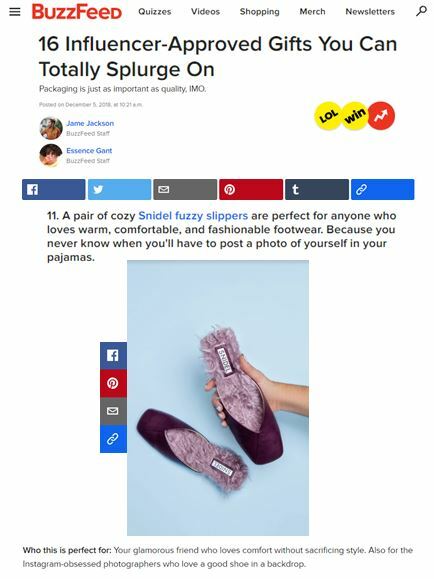 PR is pleased to see SNIDEL featured on Buzzfeed. The Faux Fur Lined Mules were listed by the Buzzfeed editors as the perfect holiday gift for hope-to-be influencers.